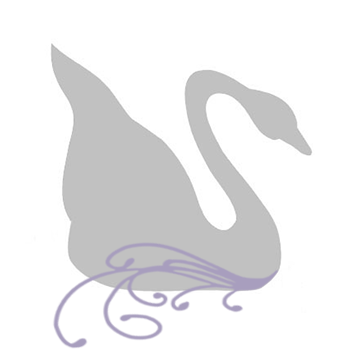 It's been a busy week or two and I am in the process of restocking the store. I had just gotten into a design groove and in a flash, I'm sold out. That's a good thing! To get started, I've already posted a few new pairs of handmade beaded earrings and there will be a new category added very soon...stay tuned! A lovely topaz shaded lampwork bead showcasing a black striped core is the base of these stacked gourd handmade beaded earrings. Accented with the most beautiful shades of autumn, brown smoke topaz and black jet Swarovski Crystals, 14kt antiqued gold-fill Bali and 14kt gold-fill leverback earwires. Length is 1-1/4" from bottom of earwire. A brilliant transparent burnt orange indian glass barrel is flanked by brass heishi discs and lightly smoked topaz Swarovski Crystals. The orange glass barrel is called "white heart barrels" because of the white core of the bead. 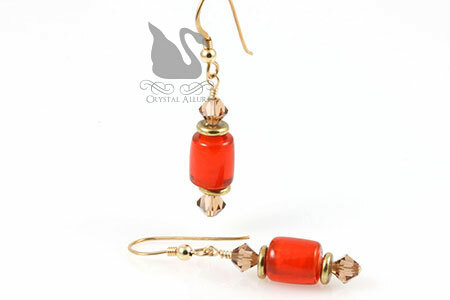 Handmade beaded earrings are finished with 14kt gold-fill french hook earwires. Length is 1-1/4" from bottom of earwire. My favourite is the amethyst slider pair because they swing well and are slimming to boot!